In need of an espresso fix wherever you go? We’ve got you covered with a bunch of great portable espresso machines that mean you won’t miss out on a delicious cup of coffee. We’ve looked at portable espresso machines that are exactly that — small enough to take out and about with you, while also being powered through some means that doesn’t require a mains electricity supply. Wherever you’re on a long drive and need a cup of coffee to keep going, or you’re out hiking or camping, there’s a portable espresso machine for you. One thing you may want to keep in mind is that you’ll need super hot water to power most of these portable presses. If you’re at an office that has an electric kettle or water cooler with a hot water tap, that’s one thing, but if you’re in your car or on a hike you’ll want to tote along a big thermos full of hot water. Here are some of our favorite portable espresso machines currently out there. We’re going to level with you straight away—the Wacaco Nanopresso isn’t for the faint hearted but wow, does it make a good cup of espresso. It’s built around a pumping system so there’s no need for a battery or electrical supply. The downside here is that you have to pump it hard to maintain stable enough pressure to make a great espresso. It’s worth it though (especially if you’ve ever thought “I wish making my morning coffee was more similar to pumping up bike tires”). It works with all varieties of ground coffee, and you simply add boiling water to its tank then pump manually until complete. At the end of that, you have a great drink and you never once had to worry about electricity. The water tank can hold up to 80ml of water with the device itself small and lightweight so it’s perfect for taking on trips with you. It’s tough too, so you don’t have to worry about the odd knock. If you’ve got the arm strength for it, you can’t fault the Wacaco Nanopresso. It works great and you can make good espresso anywhere from a hotel room to a mountain slope. 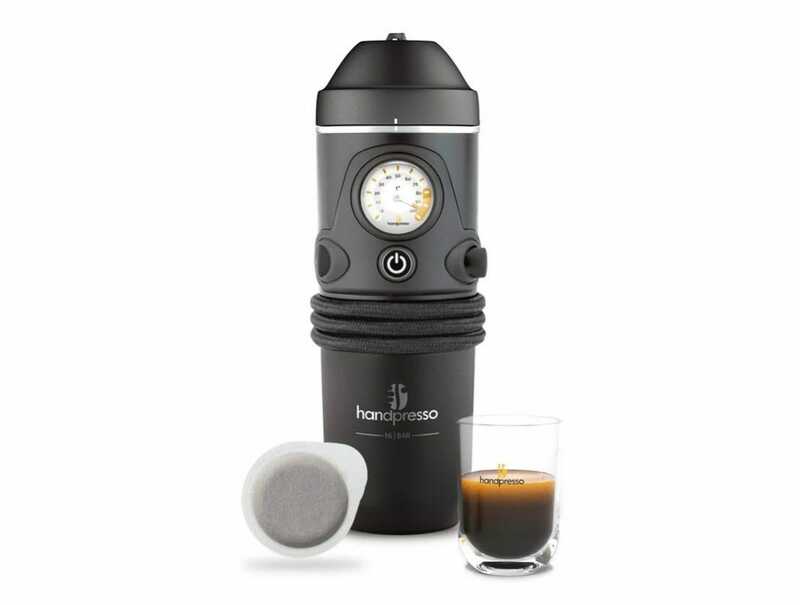 The Barsetto Tripresso is a great portable espresso maker that makes an even better gift. It brews up to 355ml of coffee with a consistent flavor from start to finish. It’s made from stainless steel with a high-quality anti-slip silicon so it’s able to withstand you taking it out and about without an issue. A double wall vacuum gives you insulation while fully closed, keeping your coffee warm for up to 6 hours. 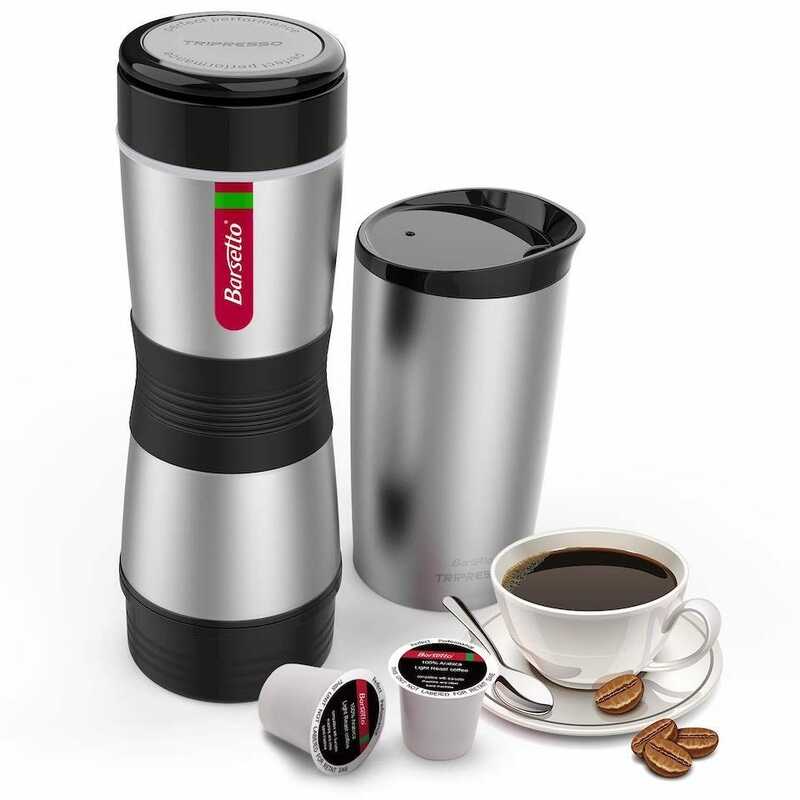 As a gift idea, things get even better because it comes with an insulated mug so it’s almost a kind of all-in-one solution for the traveling coffee enthusiast. 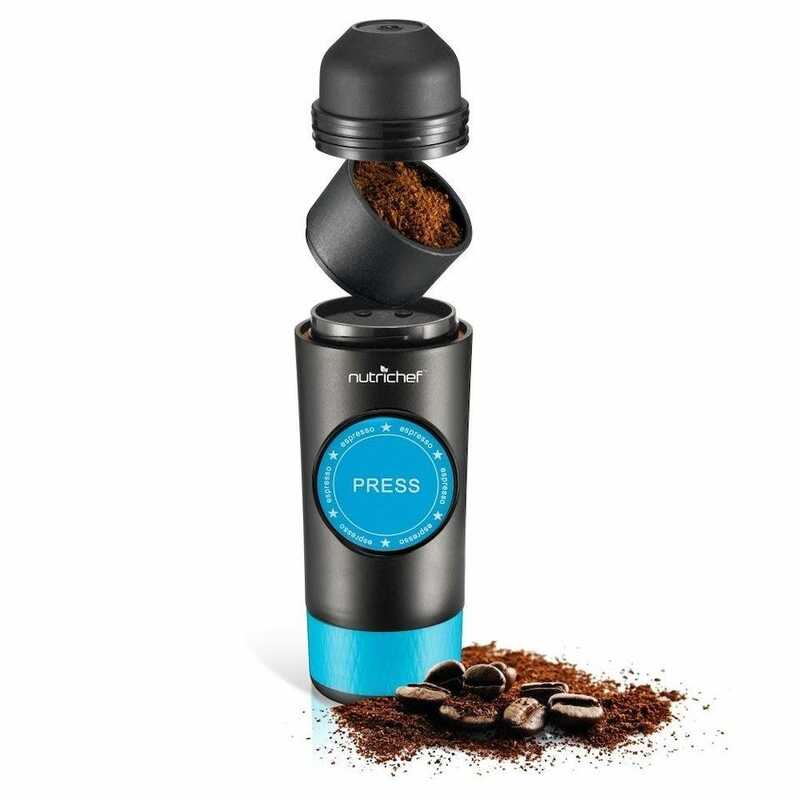 It’s suitable for all K-cup capsules and all kinds of coffee powder too. Is there a gadget left that doesn’t use USB? It seems not. The Nutrichef Handheld is the espresso machine for those that need USB connectivity. It’s a perfect setup for when you’re in the office or even when your car has a handy USB charger. It takes only 30 seconds to make a cup of extracted brew coffee, and it works with both 2-in-1 capsules as well as ground coffee. The device is pretty lightweight at only 1.45lb so it’s easy enough to toss in your bag and take camping. Simply place 1 scoop of coffee into the filter basket and pour hot water into the tank, leaving the Nutrichef Handheld to do the rest of the work for you. It’s essential for the coffee loving office worker. Want the lightest espresso machine that money can buy? 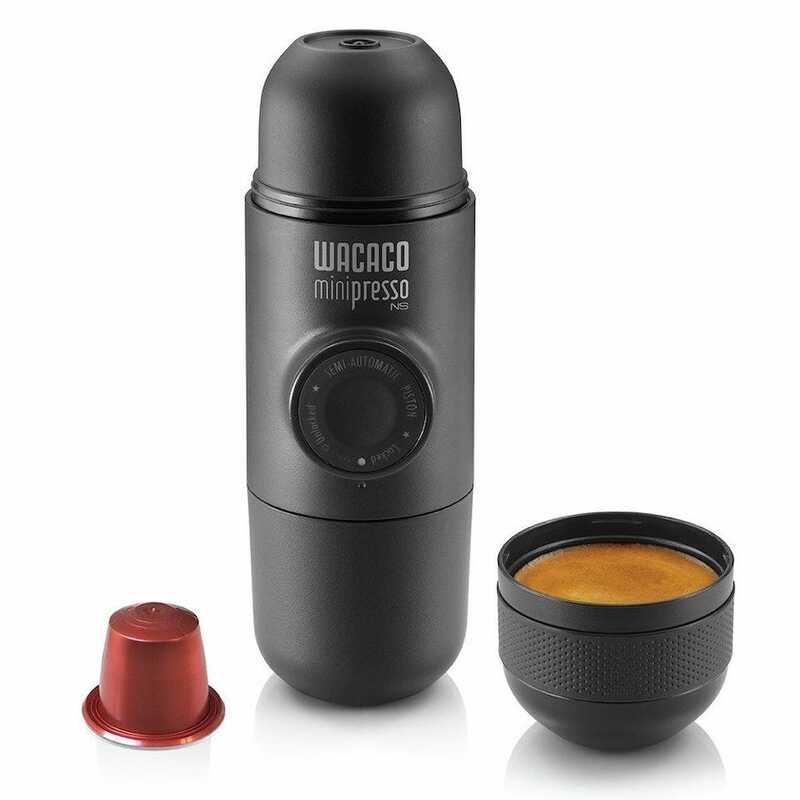 Buy the Wacaco Minipresso. It weighs a mere 13 ounces and is very easy to store in your bag. Despite its small stature, it has plenty of punch where it counts. With a semi-automatic piston, small quantities of water are injected into the coffee adapter with some pumping power doing the rest. Hand operation means you’re going to need to be pretty tough with it like its bigger brother, the Nanopresso, but it’s worth the effort. The 70ml cup that’s made at the end is sure to be a delight. Multiple accessories are also available to enhance it, such as a larger capacity tank, but you’re good to go with the basics and upgrade if (and when) you see fit. 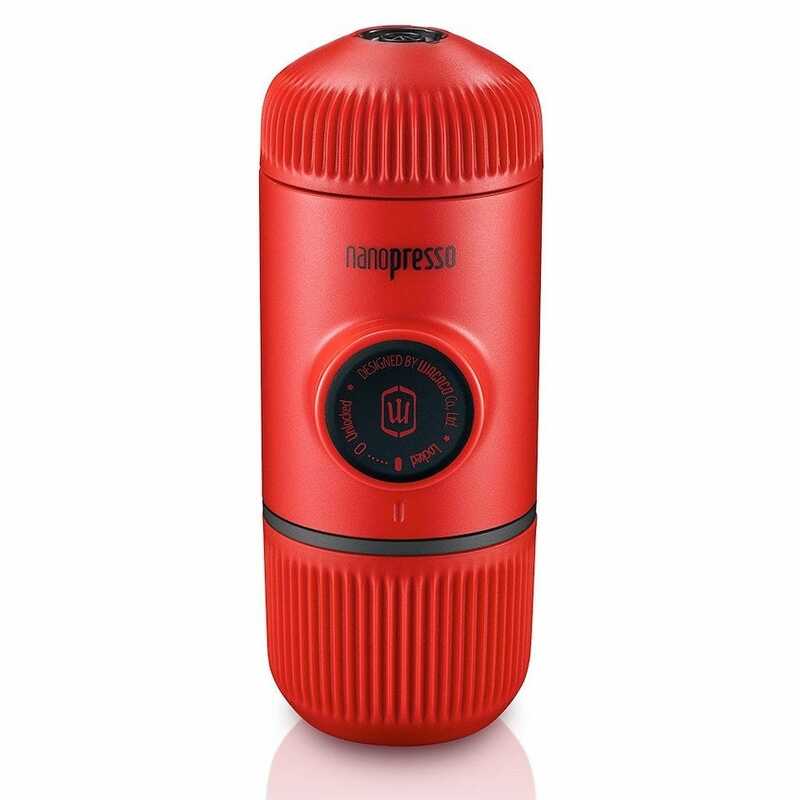 The Handpresso Auto is an expensive espresso maker but it’s worth every cent if you need a device that hooks up to your car’s 12v cigarette lighter. It offers a capacity of 53ml and it’s super simple. Put in some cool water and coffee pods, and the drink is done for you in about 2 minutes. It uses ESE pods for brewing so be aware of this, but it’s worth it. The coffee itself is exactly how you want your espresso to be every time. Much of that is thanks to the process being automated so you’re not dependent on your ability to pump hard every time. 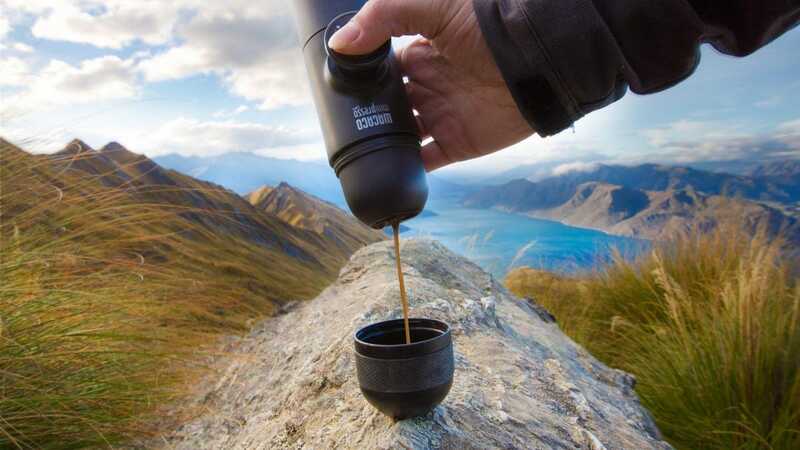 It’s not cheap but if you find yourself frequently in the middle of nowhere and in dire need of a good espresso, this is the ideal solution—and, unlike the other options on our list, you don’t need to lug along a thermos of hot water. 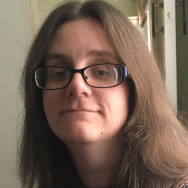 Haircuts are one of those necessary expenses for most people, but you can save yourself a lot of money by pickup up a set of clippers and doing haircuts at home—especially if you have kids.